While most kids’ beverage brands at the time were promoting a sporty, fun-seeking image, Susu was different at its core. The Susu world was that of enchantment, where kids would use their trademark wittiness and childlike imagination to overcome fun challenges. For this 30-second spot, we inherited this world, then elevated it with on-brand, on-trend characters, music, and imageries. 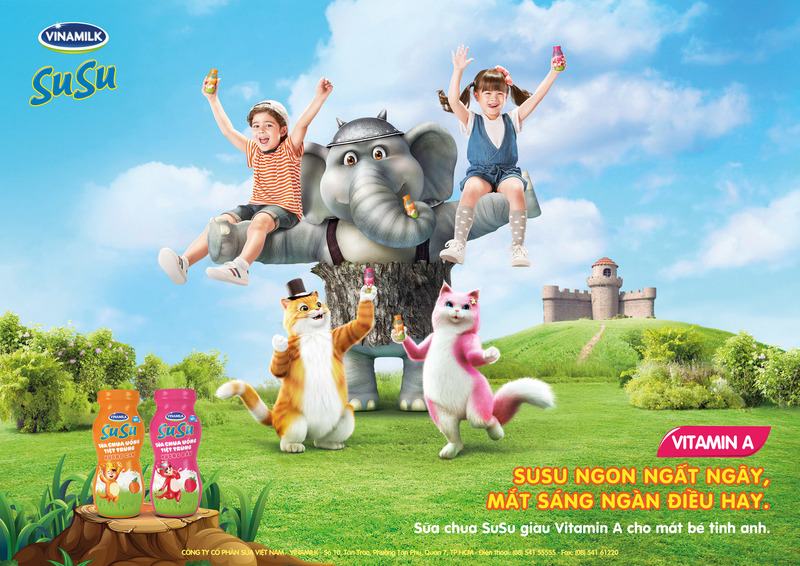 A clever storyline was created to best showcase Susu, winning over the new 4-to-6-year-old generation. Two kids with sharp eyes and fast brains, a cat in distress, and an adoringly dumb elephant will always make for a delightful commercial.